In the late 1980s, the idiosyncratic Chester Brown (author of the much-lauded Paying for It and Louis Riel) began writing the cult classic comic book series Yummy Fur. 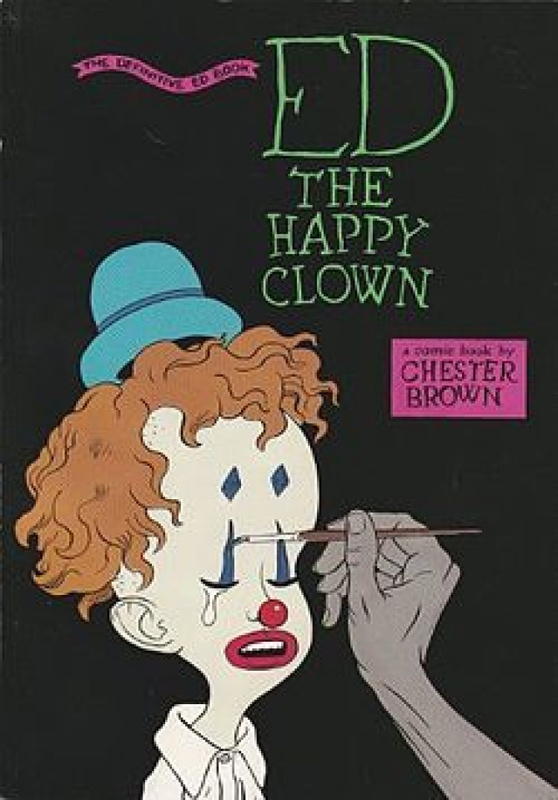 Within its pages, he serialized the groundbreaking Ed the Happy Clown, revealing a macabre universe of parallel dimensions. Ed the Happy Clown is a hallucinatory tale that functions simultaneously as a dark roller-coaster ride of criminal activity and a scathing condemnation of religious and political charlatanism. Brown leaves us wondering, with every twist of the plot, just how Ed will get out of this scrape.